Call me crazy, but I’ve never really been a huge fan of white potatoes. To me they seem dry, pasty and chalky. I know that’s what you’re saying right now. But I could easily pass on a plate of potatoes, even if you doused them in butter or sour cream. Not to say that I wouldn’t eat them if you invited me to your house, but they’re just not my favourite side dish of all times. Sweet potatoes on the other hand? Unlike normal white potatoes, I could live on sweet potatoes. It always boggles my mind when people say that they don’t like sweet potatoes. Naturally sweet, oozing with flavour and super healthy! How can you pass up on all that goodness? 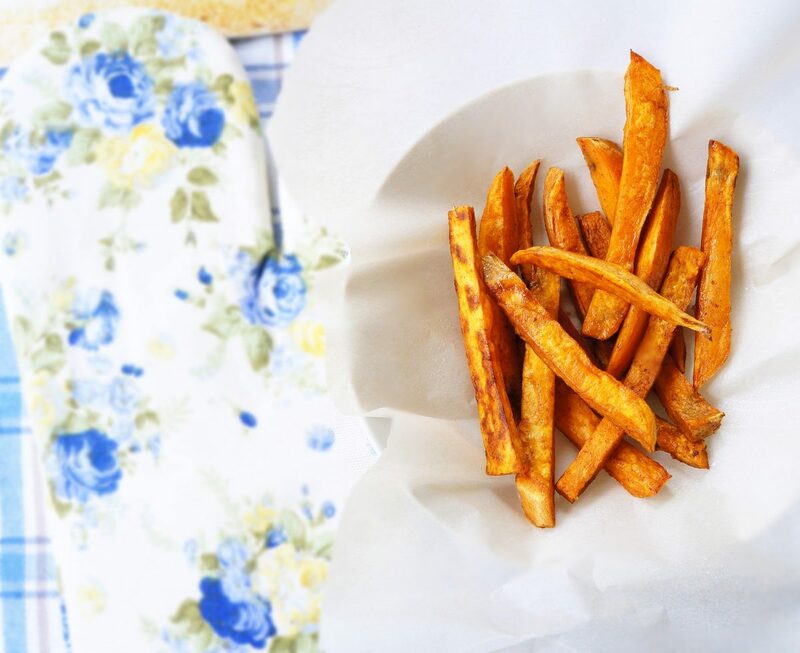 One of my favourite ways to prepare sweet potatoes is in the form of baked sweet potato fries. It’s such a quick and easy side dish. And always one of my go-to’s if I’m not quite sure what to make for dinner. I don’t even look at a recipe anymore. It’s sooo easy! Put a drizzle of olive oil, a sprinkle of paprika and cinnamon and a dash of sea salt. 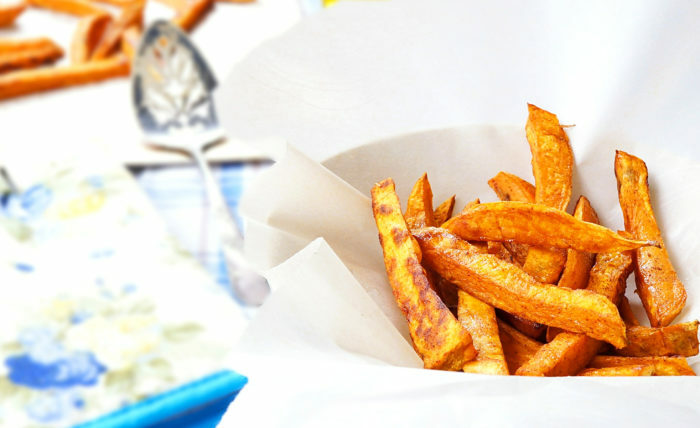 Baking the fries in the oven just has this way of bringing out this amazing natural sweetness. Wash the potatoes and peel, if desired. Cut the potatoes into ½ inch wide strips. Place potato strips into large bowl. Drizzle the potato strips with olive oil and sprinkle in the cinnamon, paprika and salt (optional). Toss the potatoes until well coated with the mixture. Bake in the oven for about 30 minutes, or until soft and lightly browned. 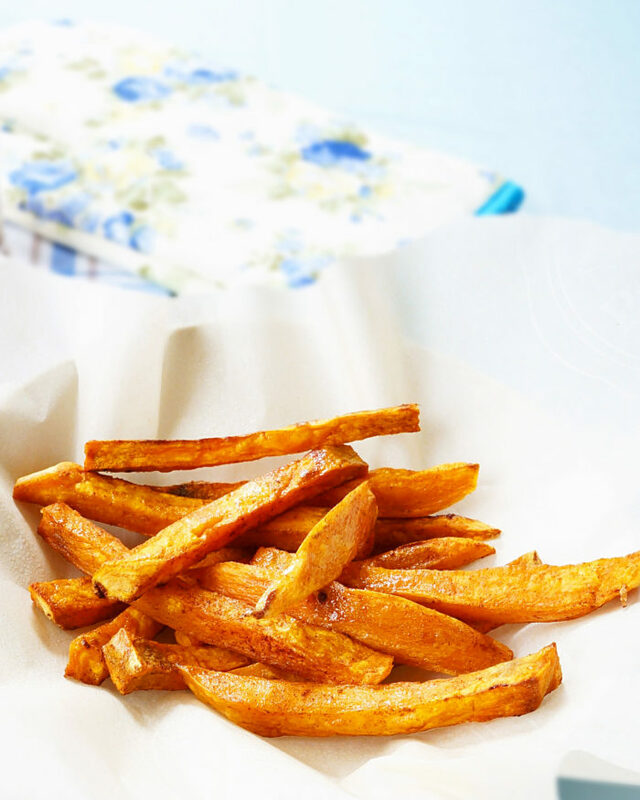 *These fries make a great finger food for little ones. If feeding to babies, I recommend leaving the salt out to limit sodium consumption. 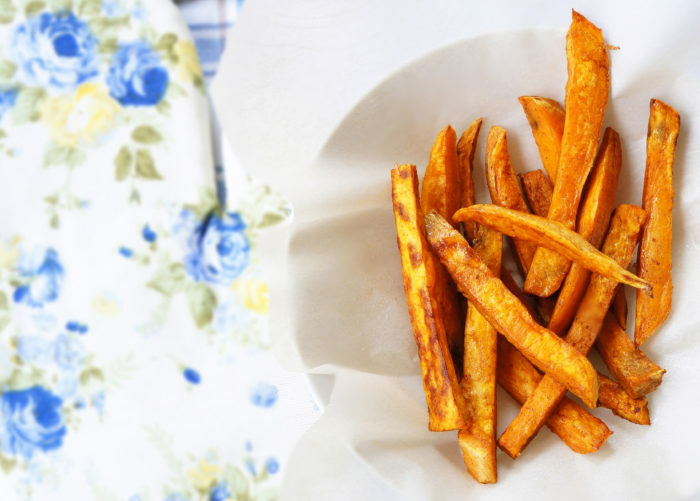 yep, I’m with you – while I also love white potatoes, I cannot see how anyone could NOT like sweet potatoes. like my husband, *sigh*. ah well, more for me! ;) the cinnamon and paprika sound SO good!